Bottom Line: Research is underway to determine the anticancer and immunostimulating effecs of chaga mushroom. Chaga mushroom is found in Russia and has been used in traditional medicine. Studies show its constituents can kill cancer cells selectively and can stimulate the immune system. However, clinical trials are needed to verify chaga’s safety and effectiveness as a cancer treatment in humans. Previous studies have shown that chaga can inhibit the progression of certain cancers and activate subsets of immune cells. Research is in progress to study its anticancer effects in humans. Chaga stimulated the activity of certain immune cells in laboratory-based experiments. 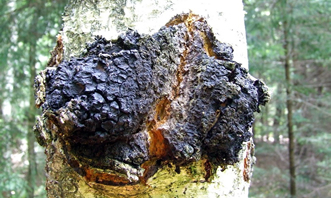 Chaga has been shown to aid in treatment of certain cancers. More studies are being conducted to confirm its effects as an anticancer agent in humans. You are using a “blood thinning” drug. You are using medications to lower blood sugar (chaga may have additive effects). Chaga demonstrated hypoglycemic effects in mice with diabetes mellitus (4). It’s anti-inflammatory and pain relieving properties are thought to be via inhibition of nitric oxide synthase (iNOS) and cyclooxygenase-2 (COX-2) (3). An extract of chaga reduced the oxidative stress in lymphocytes from patients with from inflammatory bowel disease (8). Chaga also showed anti-mutagenic properties (9). A hot water extract of chaga exhibited inhibitory and proapoptotic actions against colon cancer cell proliferation via up-regulation of Bax and caspase-3 and down-regulation of Bcl-2 (5). Aqueous extracts of chaga also inhibited growth of human hepatoma cells via arrest of the cell cycle in Go/G1 phase and inducing selective apoptosis (1). The selectivity may also be a result of activation from a change in the pH of the tumor microenvironment (11). Betulinic acid, a constituent of chaga, is cytotoxic and triggers apoptosis through a direct effect on the mitochondria of cancer cells. Other apoptosis-inducing factors result in cleavage of caspases and nuclear fragmentation (7). Like many medicinal mushrooms, chaga is rich in beta glucans which have immunomodulating activities. Beta glucans bind to Complement Receptor 3 (CR3) that allows the immune cells to recognize cancer cells as “non-self” (10). Sun JE, Ao ZH, Lu ZM, et al. Antihyperglycemic and antilipidperoxidative effects of dry matter of culture broth of Inonotus obliquus in submerged culture on normal and alloxan-diabetes mice. J Ethnopharmacol. Jun 19 2008;118(1):7-13. Lee SH, Hwang HS, Yun JW. 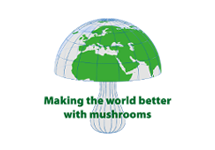 Antitumor activity of water extract of a mushroom, Inonotus obliquus, against HT-29 human colon cancer cells. Phytother Res. Apr 15 2009. Zhong XH, Ren K, Lu SJ, Yang SY, Sun DZ. Progress of research on Inonotus obliquus. Chin J Integr Med. Apr 2009;15(2):156-160. Youn MJ, Kim JK, Park SY, et al. Potential anticancer properties of the water extract of Inonotus [corrected] obliquus by induction of apoptosis in melanoma B16-F10 cells. J Ethnopharmacol. Jan 21 2009;121(2):221-228. Caifa Chen WZ, Gao X, Xiang X, et al. Aqueous Extract of Inonotus obliquus (Fr.) Pilat (Hymenochaetaceae) Significantly Inhibits the Growth of Sarcoma 180 by Inducing Apoptosis. Am J Pharmacol Toxicol. 2007. 2(1):10-17. Shashkina MY, Shashkin PN, Sergeev AV. Chemical and Medicobiological Properties of Chaga (Review). Pharmaceutical Chemistry Journal 2006. 40(10):560-568.